I joined with President Dalia Grybauskaite of Lithuania to reaffirm our commitment to confronting Russian aggression in the region. We arrived in Vilnius, Lithuania’s capital, on Saturday, and after a short tour of the city’s old town, I stood with President Dalia Grybauskaite and reaffirmed our commitment to confronting Russian aggression in the region. It’s a critical time, given fears that Russia could continue to destabilize the region beyond Ukraine. On Saturday night, my Lithuanian counterpart, Loreta Grauzniene, hosted our delegation for dinner at the Palace of the Grand Dukes. The palace dates back to the 15th century, and has been built and rebuilt as Lithuania has withstood the likes of the Nazis and the Soviets to remain an independent state. That brings me to one thing you need to know about the Lithuanians: they don’t take freedom for granted one bit. This is a country that needed two declarations of independence in the 20th century. Even now, on the 25th anniversary of the second declaration, it is taking no chances, arming Ukraine and declaring energy independence from Russia. A fearless people. 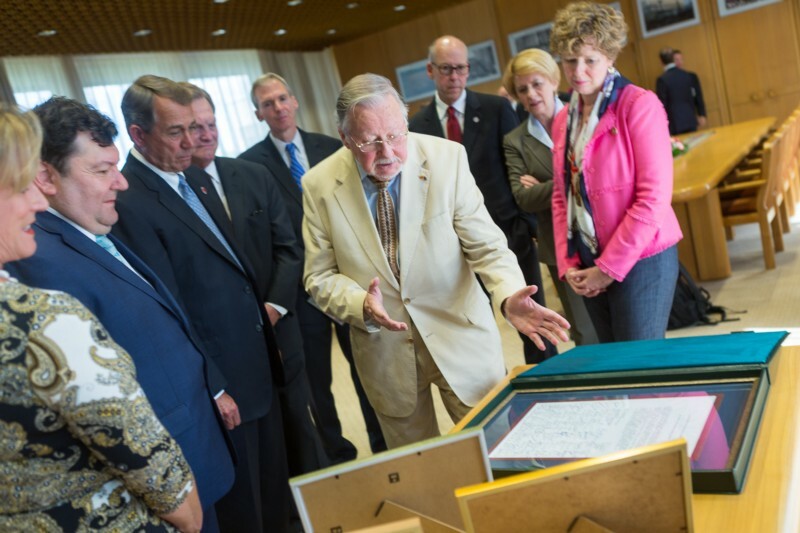 Vytautas Landsbergis, the architect of Lithuania’s independence movement and its first post-communist leader, shows our Congressional Delegation Lithuanian’s declaration of independence. At dinner, I was seated next to Vytautas Landsbergis, who is often described as the country’s George Washington. He was the architect of Lithuania’s independence movement and its first post-communist leader. Much like Vaclav Havel, Landsbergis was an intellectual dissident — a professor of music — who became a politician, and a great one at that. And there he was, having the same salad course as me. That’s the thing. For Americans, statues are about as close as we can get to our founders. But in Lithuania, you can sit and talk with freedom fighters. You can glimpse the enormity of their struggle — then and now. This scene played out at every table. Now, offering a toast was my big responsibility for the evening, but I thought I’d give myself a couple more jobs. 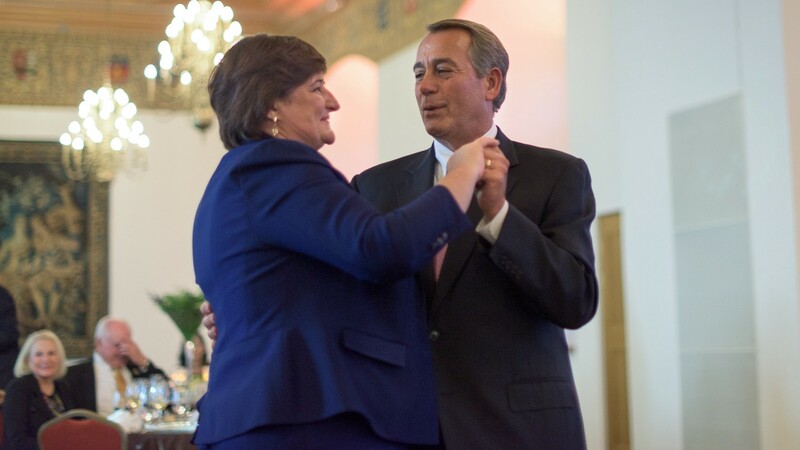 The first one was to ask Speaker Grauzniene to dance. 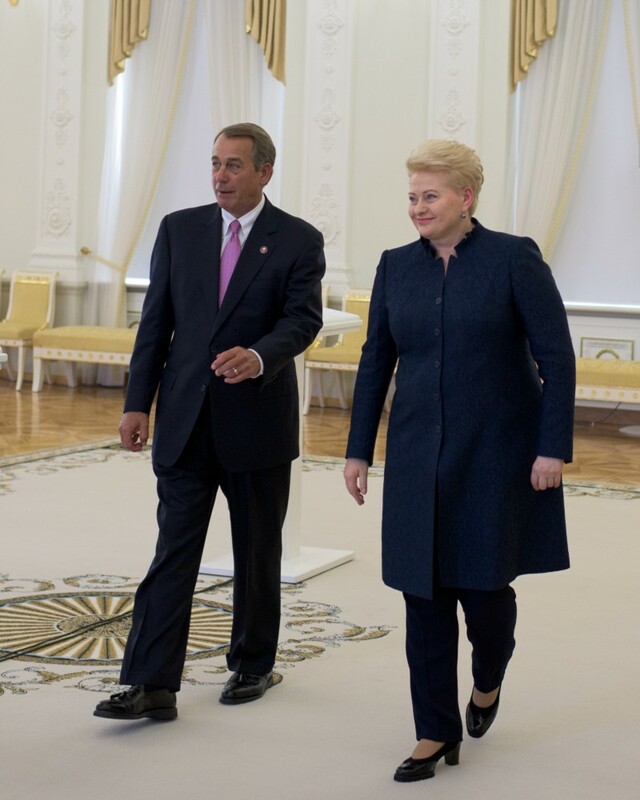 Speaker Grauzniene of Lithuania accepted my invitation to dance at the state dinner. The second task took much longer, and that was getting Professor Landsbergis to play the piano. I bugged him, and I bugged him, and finally — after his wife played and we were on dessert — he relented. He talked about how Americans like the sea, and then played a song which reminded him of that. 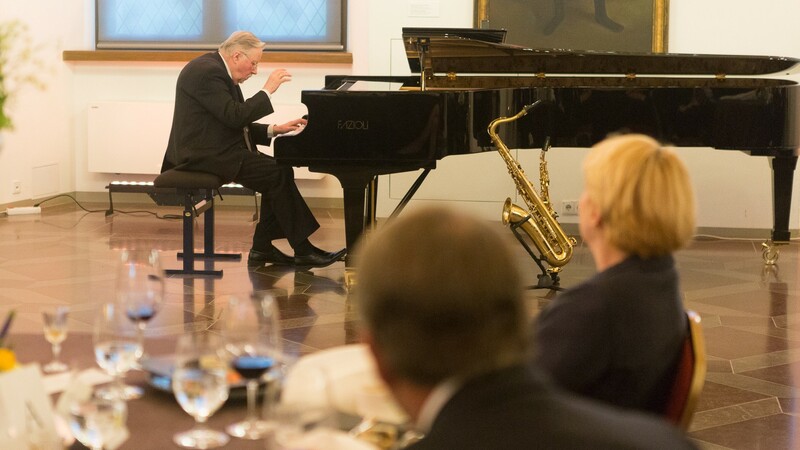 Professor Vytautas Landsbergis entertains the guests at the state dinner in Lithuania. Probably the first time I’ve seen a roomful of politicians sit absolutely still. A good night for freedom.